Stick that landing with elbows up! Focus on fully extending the hips! 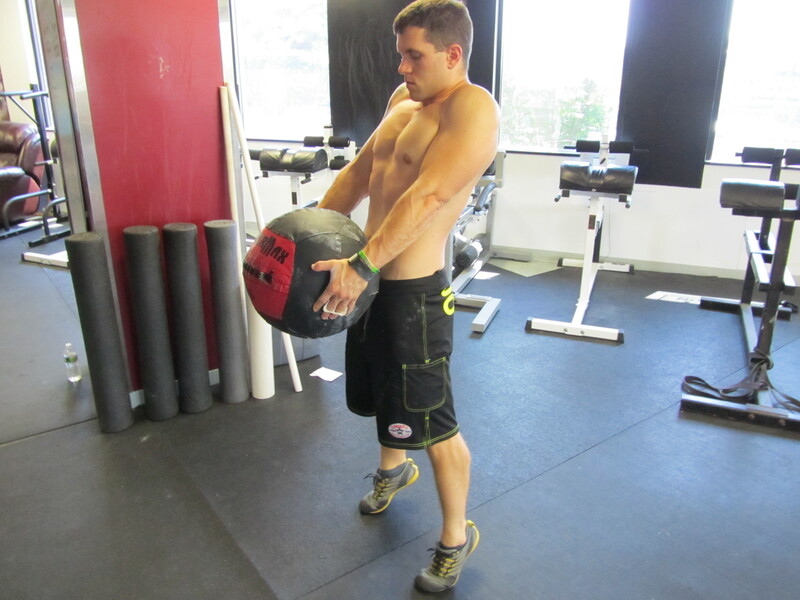 A Med Ball Clean would be a good scale for beginners. Quick transitions will be key in today’s Rowing WOD. Practice a few quick releases from the erg and be sure to have the proper plates setup on your bar so you can strip them each round. The focus of today’s workout should be to move with efficient power. As you get fatigued focus on really using your legs and hips to generate power on the erg and in the clean. Since the weight on the clean gets lighter you should be able to move faster and start catching the bar in a higher power stance. Keep that bar close, resist pulling with the arms, and really extend those hips to generate speed through the middle. Try to feel the barbell float weightless with your arms acting like ropes or cables. For each rowing piece today try to mimic your start and settle of the 2k. Get after the first 10 strokes, but then settle to your 2k race pace. This will allow you to get the average split down, but maintain fresher legs for the cleans. If you go all out, max effort, you may fly and die. Of course on the last round you should push it. A good challenge would be to try to pull 100m in 10 strokes. Remember efficiency of movement and transitions are key! Post your time and experience to comments! p.s. – If you haven’t cleaned your erg in a while, Clean It! This entry was posted in Fitness, Rowing, Strength and tagged exercise, functional movements, new sport, recruitment patterns, row 2k, rowing, sports, training by Renegade Rowing. Bookmark the permalink. You’re like an evil genius. Heavy emphasis on the evil part! Love it. Can’t wait for the pain. I shed blood for you Coach! On my first set of cleans I got a little wild coming down, but that’s ok, my shin was there to stop the bar. 11:02. I don’t know how much faster I could have been. I went unbroken on everything and never paused except to peel the weight for my upcoming set of cleans. Great wod. Genius; pure unadulterated evil genius!!! Awesome Larry! Great time! Hope the shin heals fast! Thanks for the feedback! 13:48 tried to catch Larry on this one by not dropping weight once I got to 115. Very intense workout, Loved it. Great job Big Man!!! I can’t tell you how impressed I continue to be by you. There is no way someone of your size should be able to post the times you do. Mind you, I believe your times with all my heart, it is just beyond impressive for you to have the lung capacity that you do at over 350lbs!!! If you get down to around 250-275lbs, it’s gonna be me trying to catch you. Awesome job brother! Thanks Larry. I am surprised that you think my times are good as I think they are crap. Guess I expect to much out of myself. Awesome Chris!!! Way to get after it! I’ve frequently followed the 2,000m training plan in the Concept 2 Training guide. Usdually rowing 6-8 sessions per week. But I must say I like your workout plans and the incorporation of other exercises. I’m training for high altitude climbing in Nepal later this year, and finding your posts fantastic…. Just wanted to say – thanks! You’re welcome! Thanks for following and the feedback. You’ll have to let us know how the climb goes. Cheers! 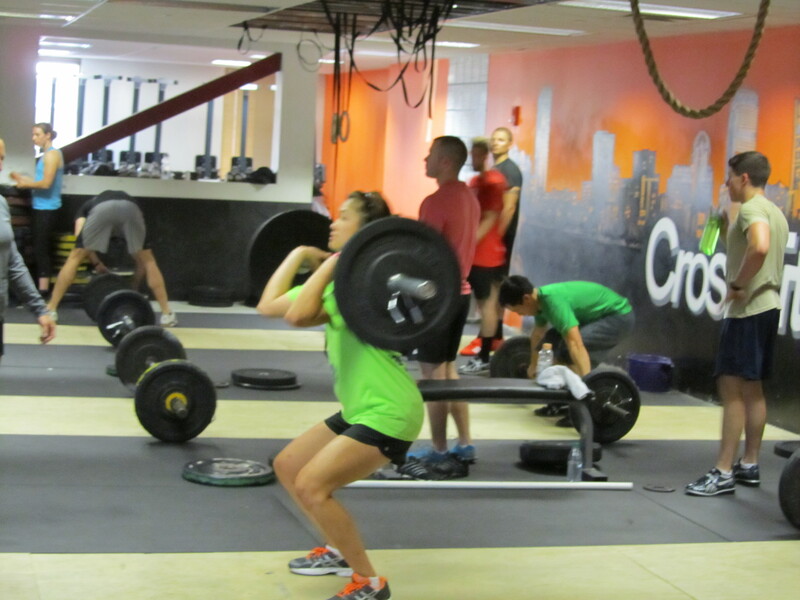 10:23 at crossfit heat in Dallas during open gym today. Thanks for a wod that plays to the strength of a 6’7″ guy. Awesome work Sean! Glad to have you give it a go! Thanks for the feedback!